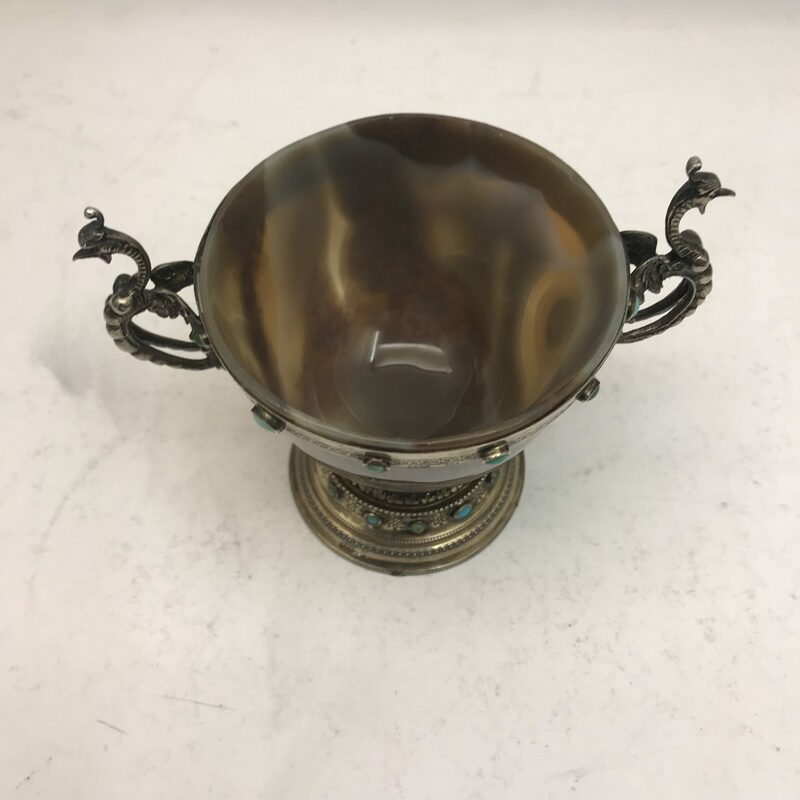 An Antique Agate and silver cup, made in Germany c.1850. 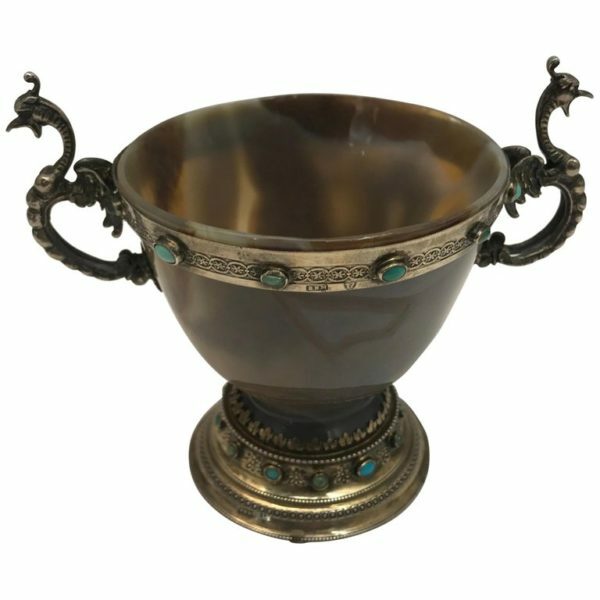 With decorative silver border and handles. Hallmarked.